As a jazz musician, Jay has traveled the world and/or recorded with Ron Carter, Gerald Wilson, Mercer Ellington, Jon Hendricks, Ben Riley, David Liebman, the David Berger Jazz Orchestra, the Smithsonian Jazz Masterworks Orchestra, the Count Basie Orchestra, and many others. Jay’s arrangements have been played and recorded by many artists including the Artie Shaw Orchestra, Jerry Dodgion’s Joy Of Sax, and the Westchester Jazz Orchestra. Around town, Jay co-leads the Scott Reeves – Jay Brandford Tentet. 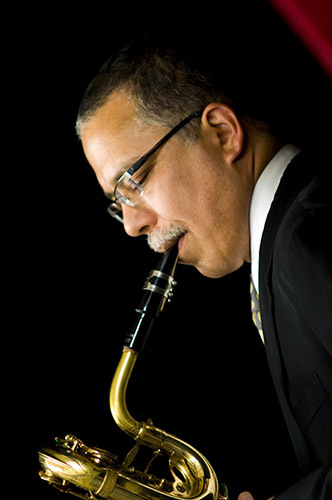 Twice he was a semifinalist in the Thelonious Monk International Saxophone Competition (1991 and 1997), and he placed 3rd in the 2017 BMI/Charlie Parker Composition Competition. .
As a woodwind doubler, Jay has performed and/or recorded with a variety of entertainers including Aretha Franklin, Nancy Wilson, Cleo Laine, Tony Bennett, Barry Manilow, and Jay-Z. Jay was in the original Broadway productions The Color Purple, Billy Elliot: The Musical, Nice Work If You Can Get It, Honeymoon in Vegas, Shuffle Along, and Hello Dolly.